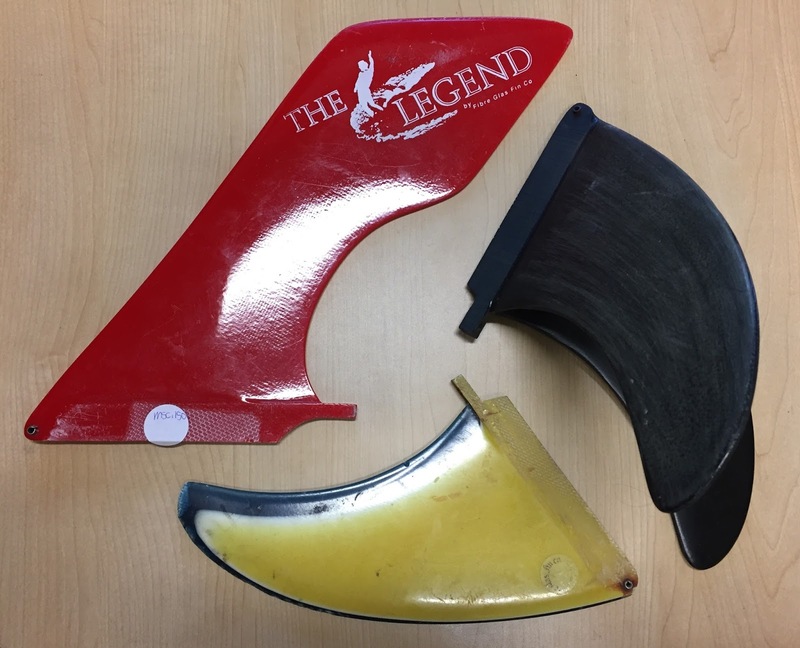 Daniel Tangeman just donated 3 classic surfboard fins. A red Hatchet from Fibre Glas Fin Co., a '70s Rainbow and a Dale Velzy Butterfly fin. We actually have the molds that Velzy used to make these fins, on display in our Shaping Shack.